The Louisiana Office of State Fire Marshal, with assistance from the Natchitoches Parish Sheriff’s Office, made two arrests in connection with a fatal fire in Campti that claimed the life of a 10-year-old boy. 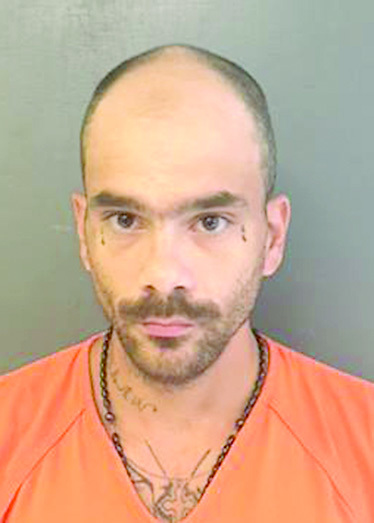 Billy D. Adams Sr., July 3, 1982, of Natchitoches was booked into the Natchitoches Parish Detention Center Friday, July 27 on one count of Negligent Homicide in the fire-related death of his son, Billy D. Adams Jr.
Adams Sr.’s mother, Regina Vanzant, June 12, 1964, has a warrant issued for her arrest on the same charge. She will be booked into the Natchitoches Parish Jail pending her current incarceration on unrelated charges in Jackson Parish. Adams Jr. was located in a bedroom in the remains of a travel trailer fire on Carter Street in Campti in the early morning hours of Friday, July 20. Adams Sr. and Vanzant admitted to investigators they left the child unsupervised while they were under the influence of drugs. The Natchitoches Parish Coroner’s Office determined Adams Jr.’s preliminary cause of death as smoke inhalation. Adams Sr., who evaded authorities from the time of the fire through Monday, July 23, also admitted to investigators that, within the past month, he had connected exposed wiring from the structure he and the child were living in to his mother’s trailer next door without following safety codes or legal requirements for installing a power source. As a result, investigators have deemed the cause of the fire Undetermined with the Inability to Rule Out Electrical Malfunction. Adams Sr. and Vanzant have bond set at $750,000 each.